Although it is important for our daily lives and works to keep things tidy and in order, it is difficult to always keep it especially in the shared space because it is unclear who has the responsibility. 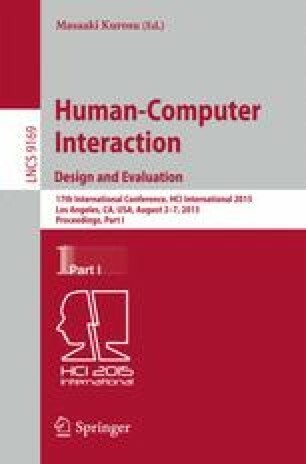 In this study, therefore, a method to persuade them to change their daily behaviors has been proposed from the concept of Ambient Intelligence. In order to realize the method, a system has been developed to encourage them to keep things tidy and in order by personifying the shared space. The personified system expresses its emotions in response to the degree of the disorder. The system consists of (1) a disorder estimation function from the captured image of the shared space by a camera, (2) an emotion creation function of the personified space by the transition of the disorder, and (3) an emotion expression function in appropriate timing. In addition, a case study had been conducted for 31 days to evaluate the system in a student room of a laboratory. As the result, the longer they stayed in the room, the more they watched the messages of the personified room, and improved their consciousness and habituation of keeping the room in order. However, the users who rarely stayed in the room did not improve the habituation. This study was done through the help of professors and students of Kobe University. We sincerely appreciate their contribution.